35+ Spectacular Blueberry Recipes You're Dying to Try! 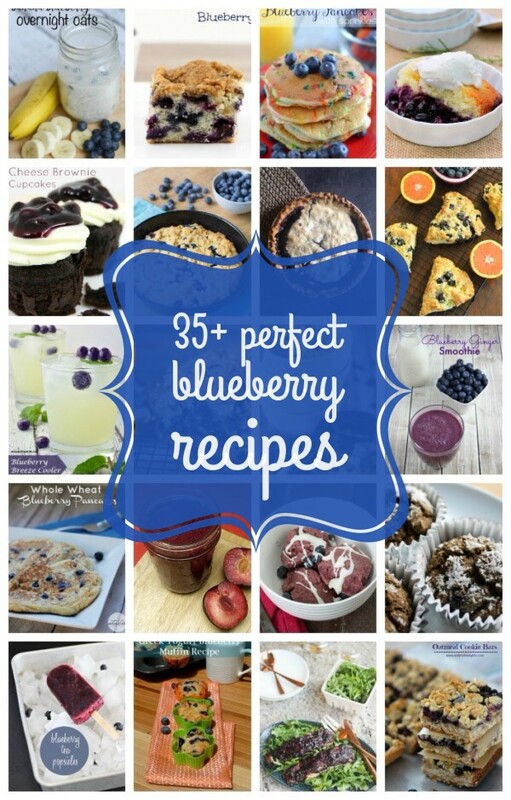 35+ Spectacular Blueberry Recipes You’re Dying to Try! In honor of blueberry month, I thought it was time to do an updated roundup of delicious, amazing blueberry recipes! I did one a couple of years ago, but that’s like a 100 years in internet time! Blueberries are one of my favorite fruits. I like the plump, sweet ones! They’re like candy to me! Grab them while they’re in season, because the rest of the year they’re super expensive (at least around me!). Without any more rambling from me, I present 40 spectacular Blueberry recipes that you just know you’re dying to try! I know I am! We need a little order here, because there are so many ways to use blueberries! I’ve divided this up the best I can, by breads & muffins, pies, pancakes and other. Let’s get to it! Start your day off right with a healthy Greek Yogurt blueberry muffin recipe from OurFamilyWorld. Olfa takes your favorite muffin and makes it more wholesome, so you can feel really good about giving it to your family! Looking for something with a splash of sweetness on top? Try out Peas and Crayon’s Citrus-Topped Bakery Style Blueberry Muffins! Keeping with the orange theme, she also has a brilliant Honey Glazed Orange Blueberry Scone! Want muffins with real power? 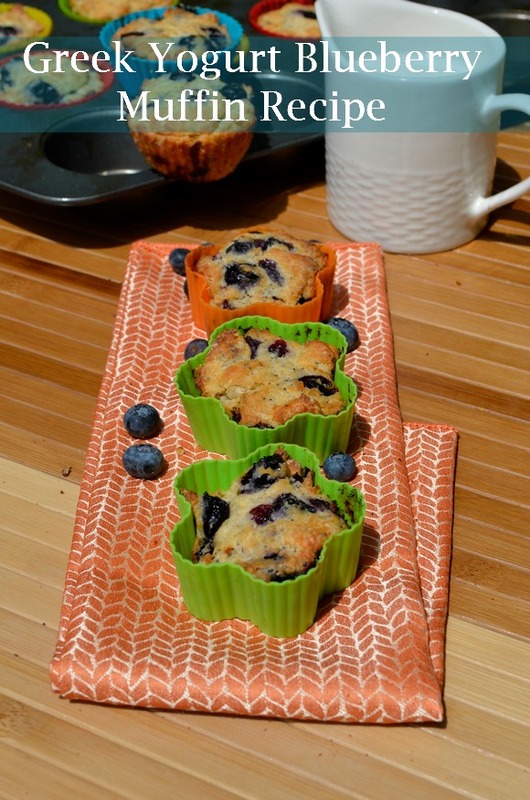 Try these Power Breakfast Muffins, made with blueberries, banana, zucchini and more! Love the taste of lemons and blueberry together? 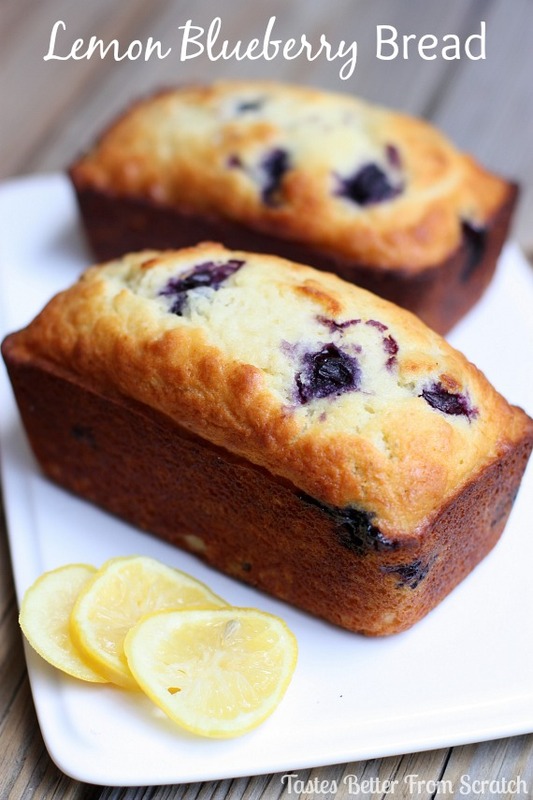 Check out this Lemon Blueberry bread recipe from Tastes Better from Scratch! 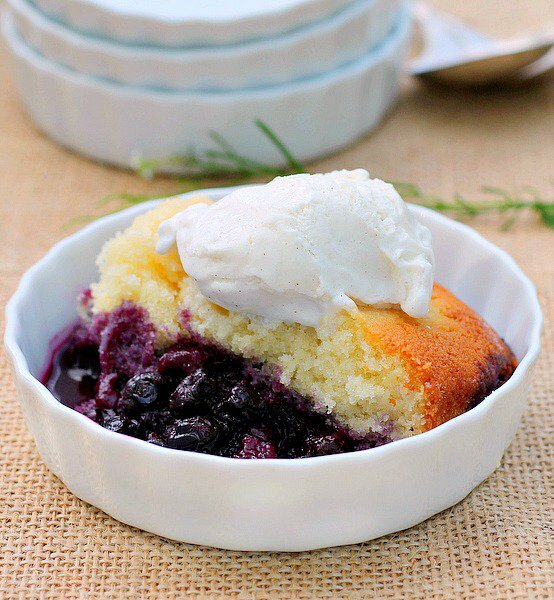 I’m really dying to try out this Blueberry Cornbread from Spicy Southern Kitchen! I love cornbread but never had it with anything else in it before! Blueberries and bananas come together in Javacupcake’s Blueberry Banana bread! How about blueberry and chocolate? Bring them together in this super easy Blueberry Chocolate Chip muffin recipe from An Italian in my Kitchen! These are your cakes, pies, trifles and tasty sweet blueberry treats. Things that you would serve on the dessert table! 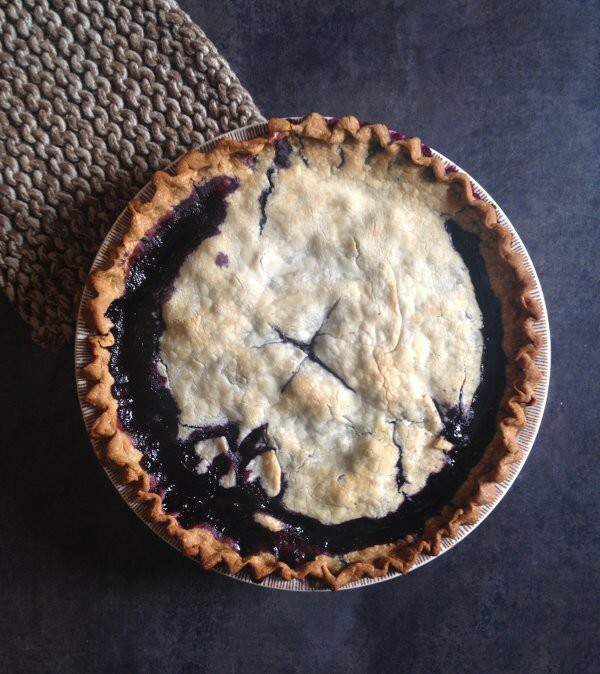 Oh my goodness, I am SO dying to try this Chocolate Blueberry Pie from Wicked Spatula! I don’t think I’ve ever seen anything quite like it before! I admit, I’m not much of a blueberry pie kind of girl, but I would totally dive into this one! Speaking of chocolate and blueberries, the 4th may be over, but these Patriotic Brownie Cups from Carolyn’s Home Work are delicious all summer long! Need more blueberry brownie goodness? Head to Slap Dash for yummy Blueberry Cream Cheese Brownie Cupcakes. Doesn’t this Lemon Blueberry Pudding Cake from Bunny’s Warm Oven look so moist and delicious? I bet it tastes amazing warm! If you don’t have time to make that but still want a warm blueberry treat, try Snappy Gourmet’s One Minute Blueberry Cobbler recipe! It literally takes a minute to make in the microwave! 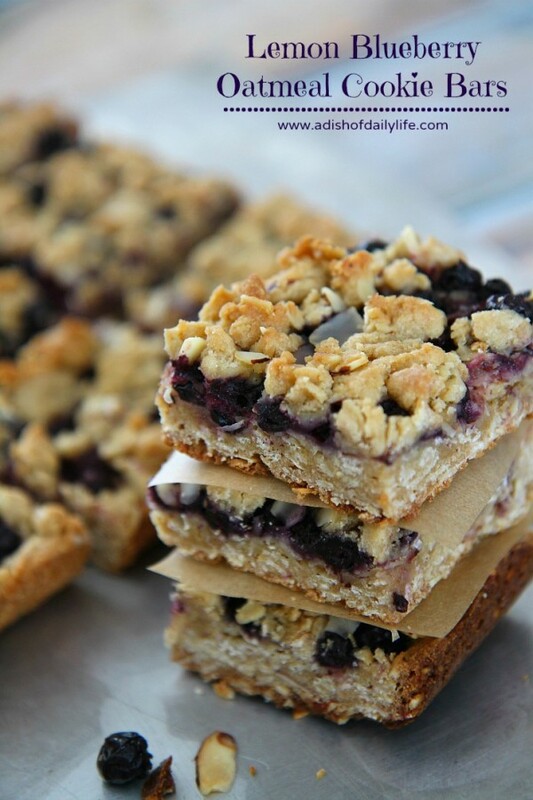 How about these Lemon Blueberry Bars from A Dish of Daily Life. Nothing goes together quite like lemon and blueberry, but Michelle has really outdone herself by adding in the crunch of oatmeal! I imagine these will be gone in a flash! My son is a huge pancake fan, but he’s never had blueberry pancakes yet. 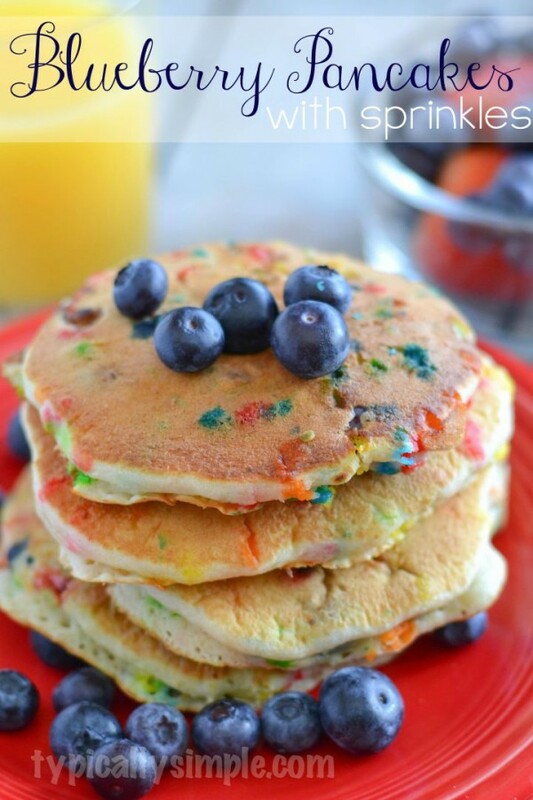 I think these Blueberry Pancakes with Sprinkles from Typically Simple are a great place to start, since they’re so fun! I personally would love to try out the Lemon Blueberry Buttermilk Pancakes from Alisha Enid. Yum! If pancakes aren’t your thing, how about these Banana Blueberry Overnight Oats? I love oatmeal, especially when it’s full of yummy stuff! If you’re not much of a baker, these blueberry drinks are the perfect way to get your fix without spending the day in the kitchen! 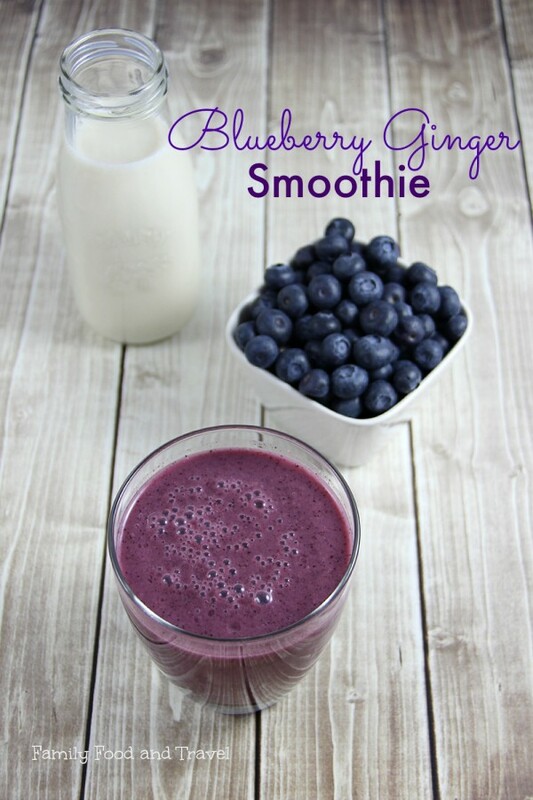 I love a good smoothie, and this Blueberry Almond Ginger Smoothie from Family Food and Travel sounds so unique! I’m also fascinated with the Purple Monkey Smoothie from Home Made Interest because of its fun name. Some really super recipes for blueberries. Plus they are so healthy too! Blueberries!!! Great looking recipes for my favorite fruit. It look like so yummy. Blueberries are my favorite fruit.Thank you for sharing. Blueberry pancakes are my favorite. I will definitely be tryng a few of these awesome recipes. I love blueberries and have them almost every day on my cereal! Thanks for all of the recipes. They look good! These are such delicious ideas! I absolutely love blueberries and I need more ways to use them so I’ll be trying many of these out! This is a bluebalicious collection! Those pancakes look super tasty. I scored a pint of blueberries for 99 cents so of course I stocked up. I bought 10 of them and have been making all kinds of great recipes with them so they don’t spoil. I may have to try some of these! Oh wow, what a great find! I’m lucky if I find them for $1.99 on sale here. That’s amazing! All of these recipes seem so delicious, especially the Lemon Blueberry Bread! Wow! What a neat list of things that can be made with blueberries. My boyfriend loves blueberries. Any of this recipe will go over good with him. I’m not a fan of blueberries but that bread looks amazing! Love your pictures of the different recipes. Blueberries are probably one of y favorite super fruits! My favorite bread is blueberry and lemon! We love blueberries and when we don’t eat them in their natural state I love to cook with them too. The oatmeal bars look amazing. I have to try making some blueberry bread. That would definitely satisfy my cravings! Blueberry is my favorite fruit, so I know I’d love all the recipes you’ve posted here. I’d especially like to try the blueberry lemon pudding. That picture looks delicious! All these look delicious. I would love to try all this, but It’s the chicken meatballs that I would love to try first. I bet they are yummy. I love blueberries and anything made with blueberries!! These all look like really great recipes to try!! These recipes all look so fantastic! I love the muffin recipes! Thanks for sharing! Okay, I want to try just about every single one of these recipes. 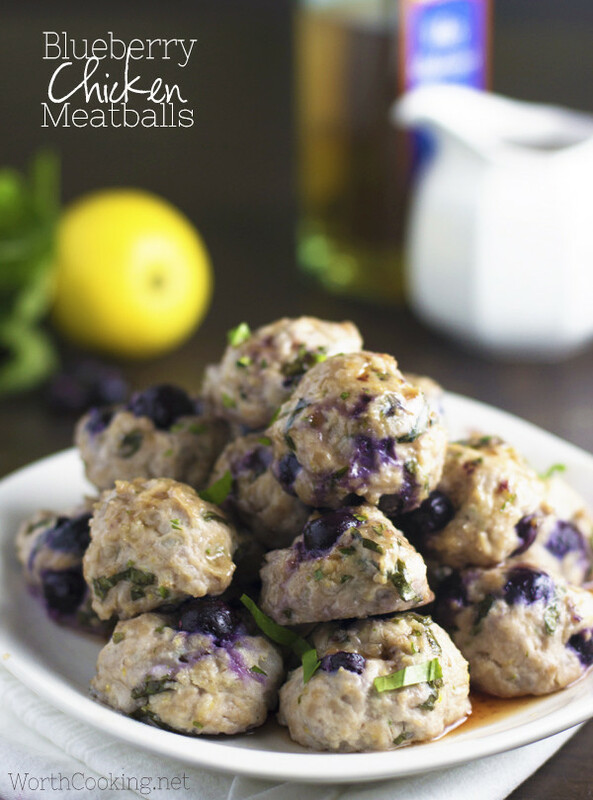 The blueberry chicken meatballs are particularly intriguing! I love that it’s blueberry season. Those things are tasty delicious good, plain and in recipes. Too funny! We were just talking about picking blueberries a while ago while having breakfast. Can’t wait for it to happen so I can prepare some of these. Yum! I love Blueberries. They are a fantastic snack. I love adding them to my Banana bread. I will have to try a few of these recipes. I had no idea July was blueberry month. I love to add blueberries to my lemonade and cocktails. I love blueberries and these makes me hungry! I love it in pie and pancakes, now I am craving for some, lol! I’m not a huge fan of blueberries but my husband loves them. I make this Lemon Yogurt Blueberry Loaf that he just loves. Ohh my gosh these all look amazing! I am totally going to pin these recipes for later. Aldi’s always has tubs of blueberries on sale for $.99! I love Greek Yogurt. I bet those Blueberry muffins would be awesome!!! Would love to try a bunch of these recipes. These are some great recipes. The pancakes look delicious. Oooo so many awesome recipes!!!! I just love blueberries and try to eat them as much as possible since they are loaded with antioxidants! I’m hoping to go blueberry picking this weekend! I’m excited even more now because I now have a ton more ideas for what to do with them! These recipes sound amazing and delicious.